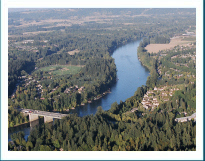 The City of Hillsboro Utilities Commission has designated the Mid-Willamette option as the preferred additional water source for the next generation of Hillsboro residents. How did they arrive at that decision? What other options were considered? What criteria were used in the decision? What happens now? To find answers to these questions and more, please explore the updated links above.